I have another fantastic guest visiting today. I am delighted to welcome Lisa Tenzin-Dolma (a.k.a Lisa Ryan), to talk about her YA book, Lainey’s Lot. 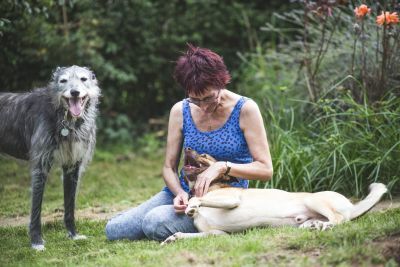 Thanks very much for inviting me as a guest on your blog, Jenny! Last autumn Accent Press published my Young Adult book, Lainey’s Lot, on Kindle and in paperback. 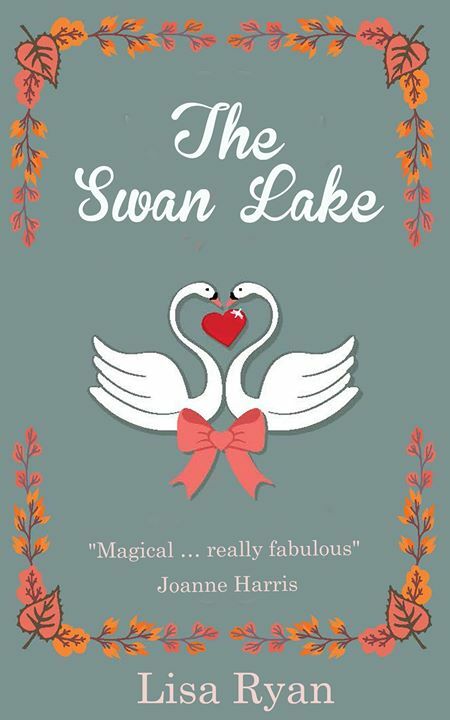 The Swan Lake, under my contemporary women’s fiction name, Lisa Ryan, has just been published by Accent on Kindle and is about to come out in paperback. Both books were a lot of fun to write, though the styles are very different. 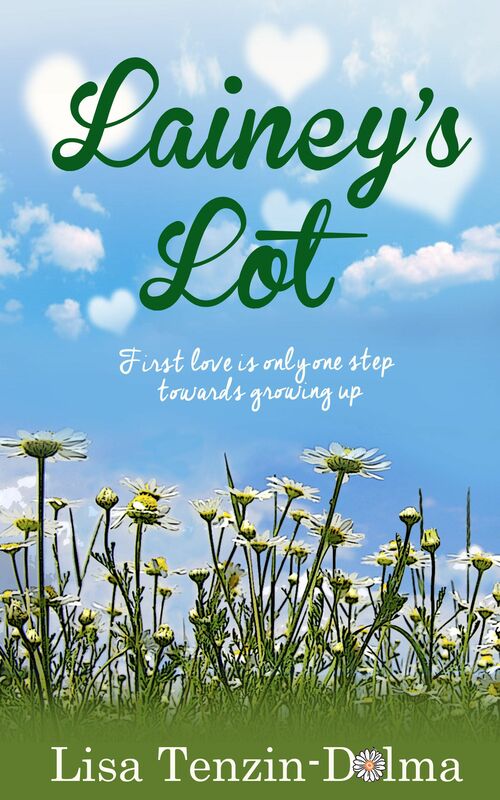 In Lainey’s Lot the central character, Lainey Morgan, is a fourteen year old girl whose life is turned upside down at the worst possible time. She’s just met Kieran, the Boy of her Dreams, and is diving deep into the exhilarating waters of first love in Bath, Somerset, when her eccentric mother decides to up sticks and take Lainey to live in an isolated commune in deepest Nottinghamshire. Lainey has a truly horrible time there, and her trials and tribulations are intensified when Kieran’s band wins a TV talent show and he suddenly becomes famous. The story follows the ups and downs of their relationship under the spotlight of the paparazzi, further undermined by the vindictive Dorm Demons, the young people in the commune. Lainey’s lot is not an easy one, but I really enjoyed shifting into her sparky character while I was writing the book. My daughter, Amber, was a teenager when I first started writing Lainey’s Lot, and although I have to say, hand on heart, that Lainey is not modelled on her (and I’m definitely not like Lainey’s mother, thank goodness! ), Amber reminded me of how it felt to be a teenager – the sheer emotional intensity, the agonising insecurity and uncertainty that comes with groping blindly through the uncharted territory of burgeoning hormones, first love, friendships and betrayal, and that feeling of powerlessness when subjected to the unwise decisions of adults. It was very easy to revisit how I felt at that age and see how Lainey’s character would negotiate the challenges in her life. The Swan Lake begins in England but is set in County Clare, Ireland. The landscape and the lake in the story are loosely based on the area in East Clare where I lived for 18 months; a magical place that was steeped in myths, legends and superstition. Astarte Weaver, the central character, has spent all her life seeking security after growing up reluctantly roaming the world with her hippy parents, Rainbow and Leaf. As the story opens she thinks she has the life she always dreamed of, but the abrupt ending to her long-term relationship prompts her to take a vow to never have another relationship and to start afresh in a new place. She moves to Ireland, buys a pile of stones, formerly a cottage, and rebuilds this with the help of Flynn, the attractive local builder. To his chagrin, Astarte views Flynn solely as a working partner, and tongues start wagging when Eden, a rock star in the throes of a nervous breakdown, returns home to the Swan Lake and Astarte helps him through the recovery period. As Astarte settles into her new home she becomes deeply involved in the small, close-knit community. Flynn and Eden; John and Siobhan, the estate agent and his wife; Seamus and Mairie, pensioners who are determined to carry on the neighbourly war that has carried on between their families for five generations; Ned, her closest neighbour, who hates incomers and tries to drive Astarte away; and Jamie and Sinead, teenagers in the throes of first love. When tragedy strikes the community and drives a wedge between old friends, Astarte is forced to confront the demons of her past and find a new way to live her life. Although none of the characters are based on real people, the story emerged from a boozy evening with a friend who was an Intensive Care nurse. We were playing a “What if?” game in which she, a city person, moved to the depths of the country. I woke the next morning with a slight hangover and the entire story in my mind, and couldn’t stop writing until it was all on paper. Ireland holds a special place in my heart, and it was a joy to set the story there. Author bio: Lisa Tenzin-Dolma has had 22 books published, fiction and non-fiction, about a variety of subjects. She’s also a qualified canine psychologist and is principal of The International School for Canine Practitioners. I loved The Swan-Lake and really should review it but am working flat out on edits right now. You know the best category to enter for the RNA RoNA is YA. Last year anyone entered more or less was shortlisted and that is such fun. The paperback has to be out in the year entered so for next time a pb publication in 2015. 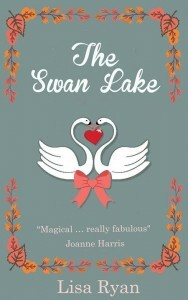 This one probably isn’t eligible but Swan-Lake would be for contemporary woman’s fiction and really it is the tops.